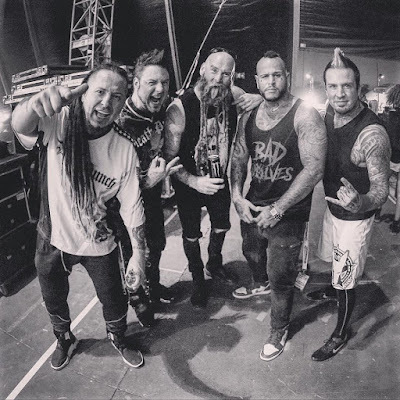 Tommy Vext, Bad Wolves singer who took the place of Ivan Moody on some of the dates of the European tour of Five Finger Death Punch, published a beautiful message for the end of the tour: "To put it simply, this has been beyond a dream. I am overwhelmed with gratitude for the opportunity to share this incredible experience. To the band, their crew and all the knuckleheads thank you for supporting me and allowing us to turn a tragic situation into triumph. My thoughts are with our fallen comrade and prayers for his safe recovery".